The Australian Burlesque offers a unique opportunity to learn the art of tease from some of the best in the biz and international tease royalty! Workshops are open to all levels of experience and will be in fun and supportive environments. See below for class details, locations and to book your place! [wpcol_1quarter id=”” class=”” style=””]Roxi D’Lite – Private lessons! 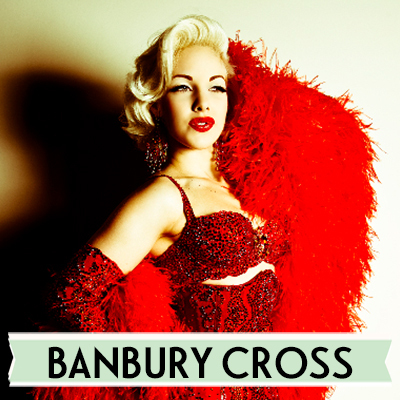 A rare opportunity for you to work one on one with one of the Queens of Burlesque. Available to all levels of expertise from novices wanting to work on act development to professional performers who wish to polish and refine their acts. Classes with Roxi are available in all cities by request. For more information and to book a class please contact us. Cost: $200 for 1 hour. Indigo Blue – Tassel Twirling! Watch em wiggle! See em jiggle! Can you go clockwise? In opposite directions? Learn the ancient alluring skill of tassel twirling! A revolutionary class for all budding helicopter girls with Miss Indigo Blue “The Twirly Girl”, Headmistress of The Seattle Academy of Burlesque. What To Bring/Wear: Comfortable clothing. NB: Pasties are provided for use in class, AND available for purchase! You can bring your own as well. Indigo Blue – The Art of Tease! Class Description: Women in the Golden Age of Burlesque refined teasing to an art – the art of strip-tease! This 1 hour workshop includes historical examples of Burlesque legends and exercises to practice the skills they developed. In this introductory class, students are empowered to explore and discover their own inner tease-artiste in a safe and friendly environment. What to Bring: Please bring own gloves (opera length) and feather boa. 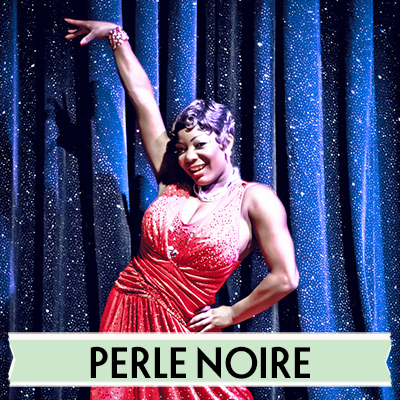 Perle Noire – Burlesque Dance! Students will work on Latin dance, learn fierce walks, hip vibrations, and seductive choreography that will all come together to help create vivacious and captivating burlesque performances. What To Bring/Wear: Wear loose clothes. Can wear any type of shoes. Students should bring water and a towel. Both novices and seasoned performers welcome. Banbury Cross – Fan Dancing! Learn from one of the most exciting fan dancers in burlesque today. Banbury Cross will take you through basic fan dancing techniques and also learn the style of fan dancing that makes Banbury so recognisable and infamous! She will put the moves together is a short routine. Lots of fun and a great opportunity to learn from a performer who has a very distinct style of fan dancing. What to Bring/Wear: Comfortable clothes and shoes to move in, water. NB: Students must bring fans. Please contact us if you do not have any so we can advise you where to purchase/hire prior to the class. Please note that all classes are strictly limited in numbers, so to avoid disappointment we advise booking early! If you have any enquiries relating to the workshops please contact us. *Please arrive 15 mins prior to class time to ensure a prompt start.